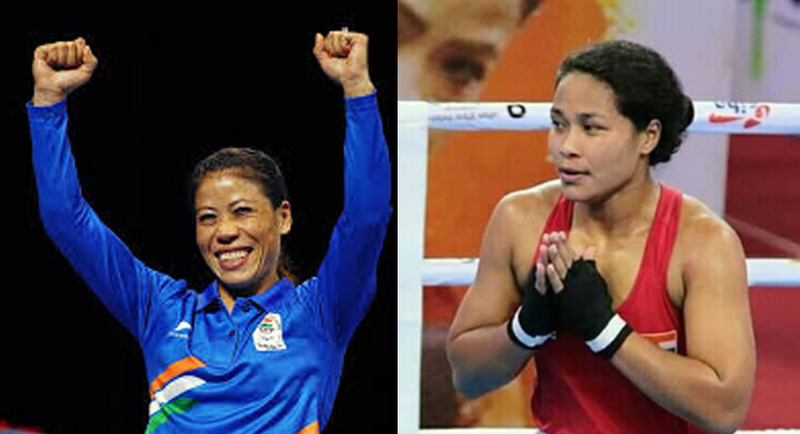 Women boxer from Assam, Bhagyabati Kachari and MC Mary Kom from Manipur entered quarterfinals while Assam’s Lovlina Borgohain advanced to pre-quarters stage at the AIBA Women’s World Boxing Championships at the KD Jhadav Hall in New Delhi on Sunday. As per a report published on Sunday by NDTV Sports stated premier Indian boxer Mary Kom defeated Aigerim Kassenayeva of Kazakhstan in the women’s light flyweight 48 kg category to enter quarters. Mary Kom, who is the 2018 Commonwealth Gold medallist, won the match by an unanimous 5-0 decision. On the other hand, Assam’sBhagyabati Kacharifrom Udalguri entered the quarter-final by defeating German boxer Irina Nikoleta. Kachari defeated Schonberger by a 4-1 split decision in the 81 kg women’s light heavy weight category. Bhagyabati brought laurels for Assam and India by clinching gold medal in 81 Kg light heavyweight category in Ahmet Cömert Tournament held in Istanbul of Turkey in September last. However, Manipur’s Sarita Devi lost to Kellie Anne Harrington of Ireland in the women’s lightweight 60 kg category by a split 2-3 decision. It has also been reported that in the other bouts on Sunday, Assam’s Lovlina Borgohain defeated Panama’s Atheyna Bylon by an unanimous 5-0 decision to progress to the pre-quarters stage of the 69 kg women’s welter weight category. Lovlina claimed the welterweight (69kg) gold in the India Open Boxing Tournament in February. Earlier in the day, Manisha Maun outclassed World Champion Dina Zholaman from Kazakhstan by an unanimous 5-0 decision to enter the quarter-finals of the Women’s Bantam 54 kg category at the AIBAWomen’s World Boxing Championships.